NSE hasn't setup intra-day data release for the currency futures market. I got impatient and setup something by myself, a Unix scripting solution that polls their website. 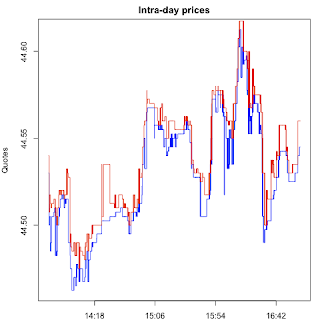 I had this up and running by the afternoon, and managed to capture 1009 distinct observations of their `market-by-price' (`MBP') for the near month (September) contract yesterday (from 1:41 PM to 5 PM). NSE's term `market by price' or `MBP' pertains to the quantities available for both buy and sell at the best five prices. This is unprecedented transparency when compared with the history of currency trading in India. Today (3rd) I got around to looking at this data. This was Day 3 of the currency futures market, where trading had started on 29th August. For a frame of reference, by and large, the OTC market has a spread of Rs.0.0025 for quantities of $0.5 million, which corresponds to 500 contracts on the currency futures market. Now, the OTC market is an opaque market and customers get bad deals; the fact that there is a spread of Rs.0.0025 there doesn't mean that customers get such tight execution. Yet, it's a natural reference point for understanding where the exchange-traded product has come. Click on the image to see it more clearly. The dashed blue line at the bottom is at the spread of Rs.0.0025, the smallest value this can attain and the typical spread of the OTC market. It was often bigger within the day; occasionally it exceeded Rs.0.02 or 2 paisa. Here's the distribution of the all the observations of the spread. The spread is expressed in ticks - one tick is Rs.0.0025, 4 ticks is 1 paisa, and so on. Click on the image to see it more clearly. The modal value - the value that's observed most often - is 1 tick. 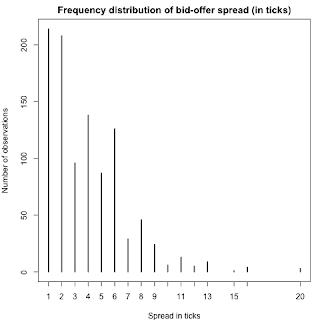 Roughly 45% of the time, the market is at a spread of 1 or 2 ticks. Not bad. But there is a fair bit of occurence of large spreads with values of more than 1 paisa. It's rarely above 2 paisa. Click on the image to see it more clearly. There were periods when the market was sleepy (e.g. near 15:06). 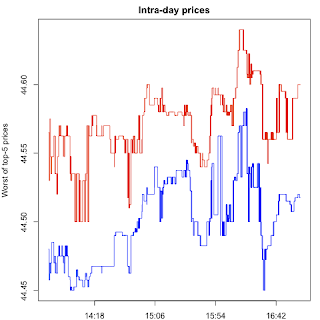 But when the prices were moving (e.g. near 15:54), numerous values in the MBP were getting modified every few seconds. It was almost as good as a stock. The currency futures did roughly Rs.180 crore on this day - which is as good as many stocks. Click on the image to see it more clearly. For the bulk of the day, the quantity available was in excess of $0.5 million. Note that I'm summing across quantity on the buy side and quantity on the sell side. I'm only trying to get a sense of the mass that's visible on the MBP. When this number crosses $1 million, i.e. when the quantity available on one side is roughly above $0.5 million, there is a potential for arbitrage between the OTC forward market (where the market lot is $0.5 million) and the screen. Someone would be able to toss a market order for 500 contracts on the screen, and do a reverse trade on the forward market. How bad do these prices get, if one takes everything visible in the MBP? 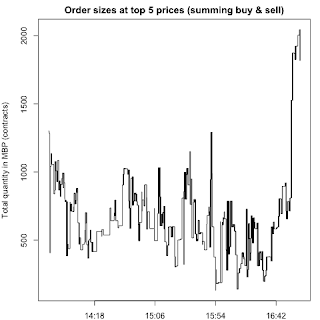 I draw a graph here of the worst price in the MBP on both buy and sell sides. Note that if you put in a market order for the full quantity available in the MBP, as you walk down the book, you are getting many different execution prices, and I'm only showing you the worst bit. Click on the image to see it more clearly. Here we see a gap between the worst buy and the worst sell of 5 to 10 paisa. I think this market is quite ready for hedging/speculative customers doing quantities of 10-100 contracts (i.e. $10,000 to $100,000). This is a large audience and so there's plenty of action in store. The big milestone will be where someone will be able to toss in a single market order for 500 contracts ($0.5 million) and back-to-back do an arbitrage against the OTC market. When these trades begin, this market will quadruple in size, i.e. it will come in the list of NSE's top 10 underlyings of the day. For more analysis of the outlook for currency futures, see Jayanth Varma's blog post and followup. There seems to be arbitrage opportunity on September 09 deliverable considering interest rate differential of about 6.5% between INR and USD. Is this due to transaction cost and other frictional costs? BTW, can an individual bet on these contracts? If so, can a non-indian citizen of Indian origin do so? I have somewhat of an off-topic question. I understand that these contracts are settled on a cash basis (in INR) around the RBI reference rate on expiry day. Can you throw some light on this "reference" rate? Is this something that the RBI backs up with real cash (meaning at least a sizeable chunk of participants can actually transact both ways with RBI around this price) or is it something that is quite cheap for the RBI to set at whatever politically convenient level? 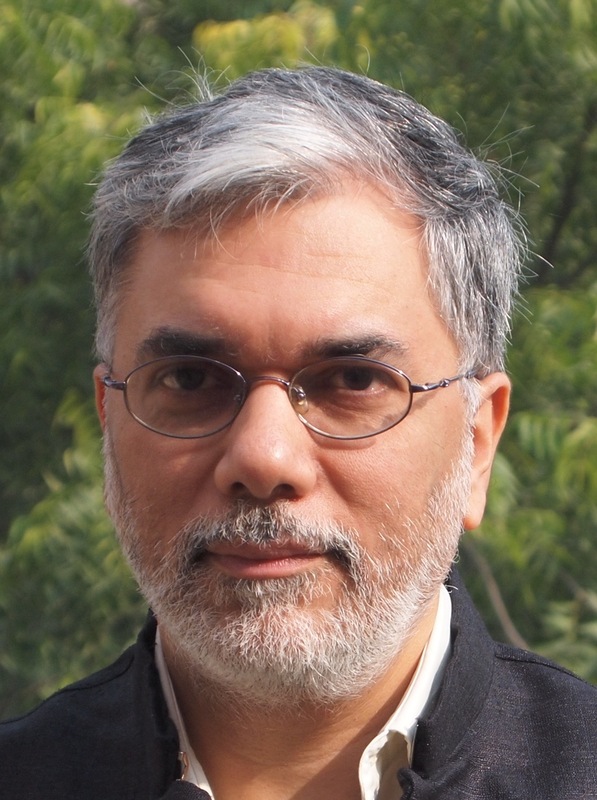 Ven: NRIs and FIIs aren't still allowed to bet. Ajay, I am assuming that mutual funds and PMS cannot invest in this product. Given a 10% move would be considered astronomical, they make great speculative returns only on leverage, which is not allowed in either product. Second, the lack of FII/NRI participation removes liquidity in a large way. But the arb you talk about - the OTC versus market - won't it go completely away if people choose to execute only here and not in the OTC? Once FIIs and NRIs are in, why won't they setup positions directly (if there is enough liquidity). Plus, I'm assuming the margins can't be cancelled out on NSE versus OTC, so there shouldn't be a sudden sharp move on the NSE that takes the leveraged arbitrageur out of business. BUt I agree, this is the future. ALready provides a simple way to spread a Sing Nifty - contract size is abuot 1.5x a contract here, so a min arb is 100 Nifty, 18 INR-USD and 2 Sing Nifty. 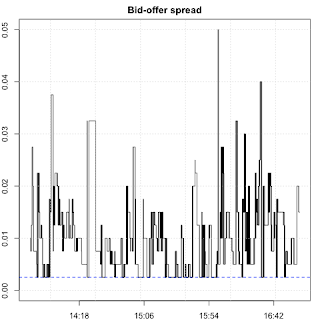 Current bid asks might actually support a decent return but margins are a pain. I was in the same state as yours on Aug 29 and Sept 1, 2008 refreshing and tracking the FXTracker (on www.nseindia.com) almost every 3 minutes. The article Rajiv is talking about is this. Ajay Sir the link provided by you for reading Jayanth Varma's blog post is not working. Could you please update it again? Nazir, I just checked and it's working. I think the IIM Ahmedabad website is flaky.